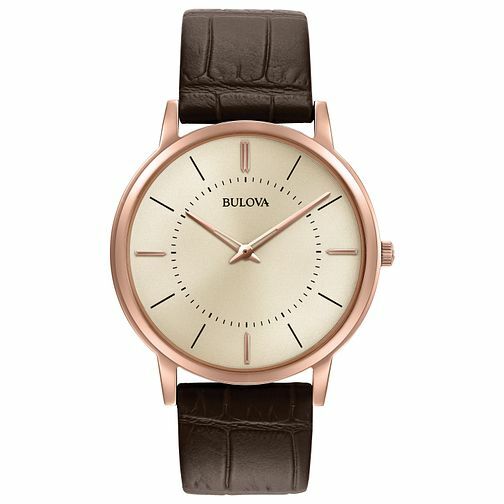 An elegant, ultra slim brown leather strap watch by Bulova, styled with a silver tone sunray dial with rose tone accents and a polished rose gold-plated stainless steel case. Bulova has delivered beauty, quality and innovation since 1875. Bulova Men's Classic Silver Dial Brown Leather Strap Watch is rated 5.0 out of 5 by 1. Rated 5 out of 5 by Anonymous from This product is rellay nice My boyfriend love it and I will buy more watch in the future .